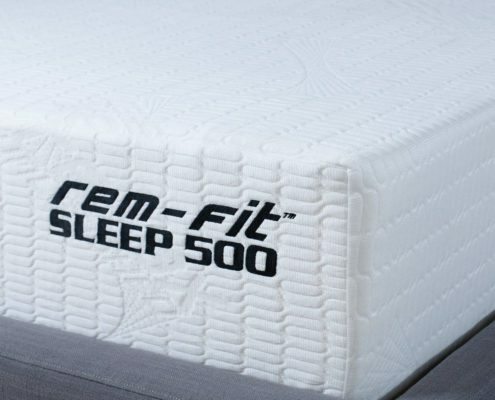 Receive 2 FREE REM-Fit Active 100 Sleep & Activity Trackers if you purchase a Queen or King REM-Fit Sleep 500 Mattress. 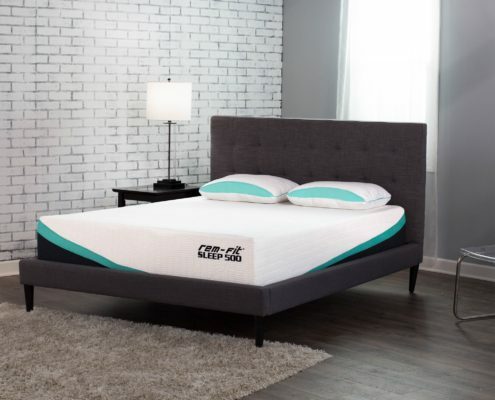 The REM-Fit Sleep 500 mattress in a box combines the motion isolation and conformity with memory foam with pocketed-coils for support and comfort. 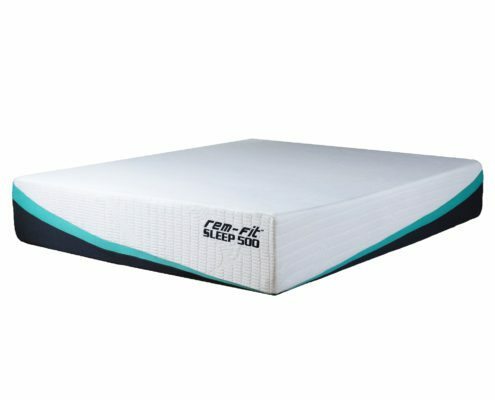 The REM-Fit Sleep 500 mattress comes roll packed and ships free. It features gel memory foam on top with transition comfort layers and pocketed coils. 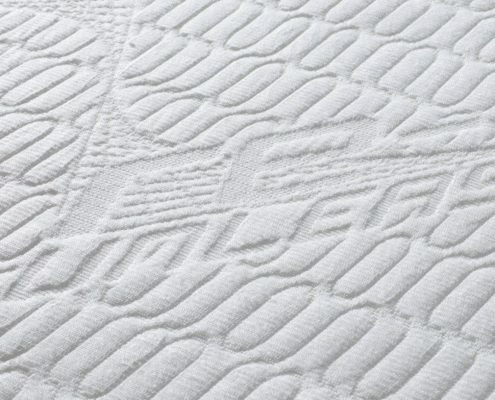 The cover features Nordic Chill fiber which disperses heat throughout the night for cooler sleep. This all comes with a very competitive price $1099 in a Queen. Want a good bang for the buck – REM-FIt 500 is 12″ thick with some quality materials and features and they also use the direct to consumer approach to cut out the middle man. Like pressure relief paired with bounce – The foam/spring combo ensures that you get pressure relief paired with good bounce. 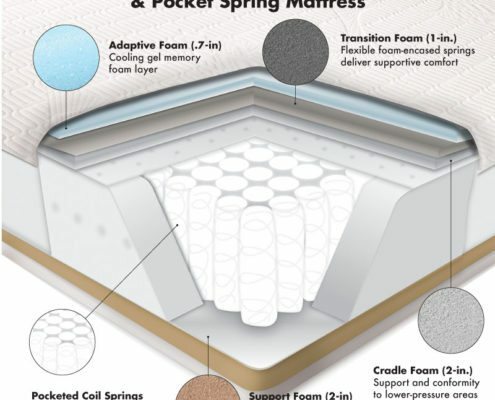 Like to sleep cool – Gel Infused memory foam generally sleeps very cool to begin & on top it uses a cooling cover. The coil system compared to a foam core circulates air well. Kayla is typically always cold so heat was not an issue for her either. 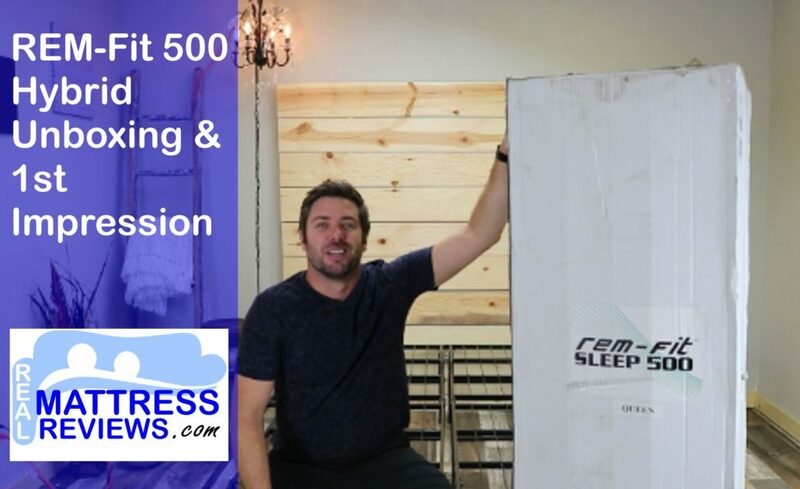 Are a heavier sleeper – You will not have any issues bottoming out the Rem-Fit 500 if you are heavier, unlike some of the other thinner online offerings. Are looking for a mattress to fit all sleeping positions –REM-Fit is a good medium feel and it performed well for all of our sleeping position tests. Want a super soft mattress – REM-Fit 500 is a medium feel. 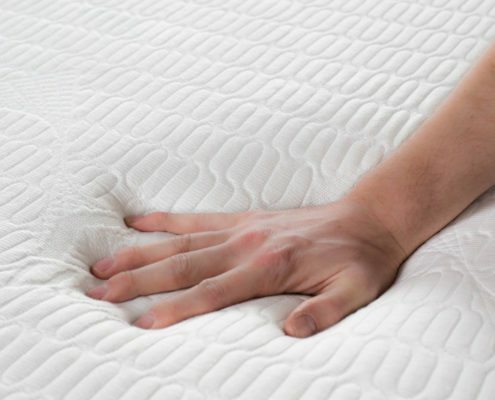 If you prefer an extra soft mattress you will want to look elsewhere. Or extra firm. 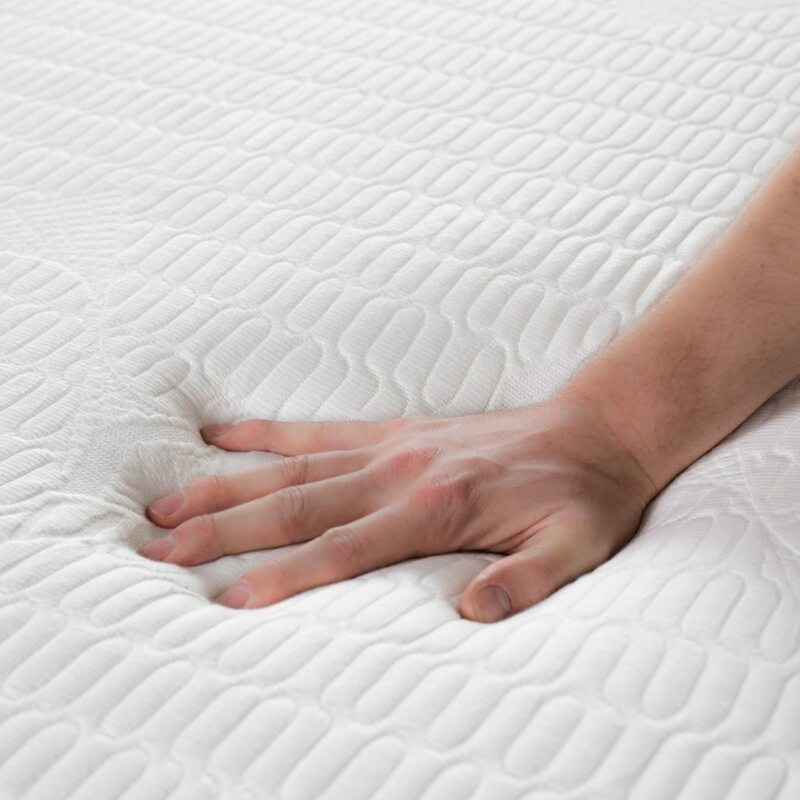 Don’t like coil mattresses – If you are an all foam mattress lover you may want to consider something else. Prefer a 100% memory foam feel – REM-Fit 500 uses memory foam paired with pocketed coils so you get a memory foam feel but with the pocketed coil system it provides extra bounce and not quite as much body hug as if it were to use an all foam build. The REM-Fit 500 will work great on any solid surface. The floor, platform slats, boxspring/foundation and they now offer an adjustable base as well. 1st of all I liked that it is not another 10″ mattress. The REM-Fit 500 is 12 ” thick and more substantial looking and feeling. The REM-Fit 500 Mattress impressed me for the following reasons. A.) To me the overall build and quality was good. It uses good quality foams and cover fabric. All at a extremely competitive price. B.) The hybrid design provides good back support and conformance. D.) It has a good medium feel that will appeal to most of you out there. F.) I like that the company is well established in the industry. I thought the REM-Fit 500 had a very luxury feel. I also like that the mattress is not another 10″ mattress. I also liked that fact that its 12″ thick and fits/looks better with our tall headboard. 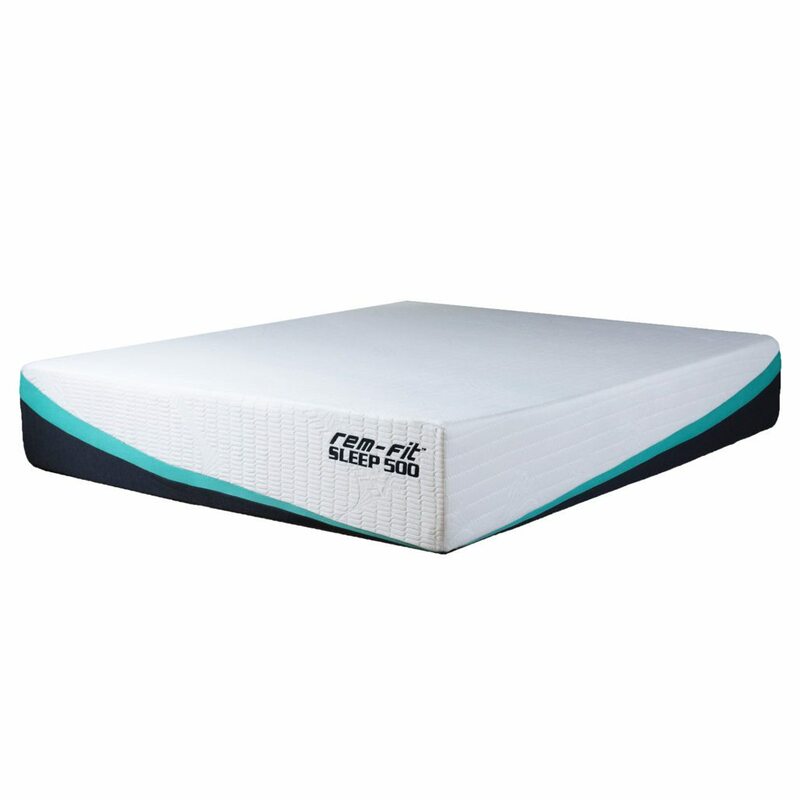 A lot of mattresses are 10″ online, this is more substantial and will work well for all body weights, as it will not bottom out easily. The overall feel is a good medium that most of you will like, it slept cool and performs great in all 3 sleeping positions. I’m kind of obsessed with the smart pillow, stay tuned for the pillow review, tracker, other mattress models and protectors. 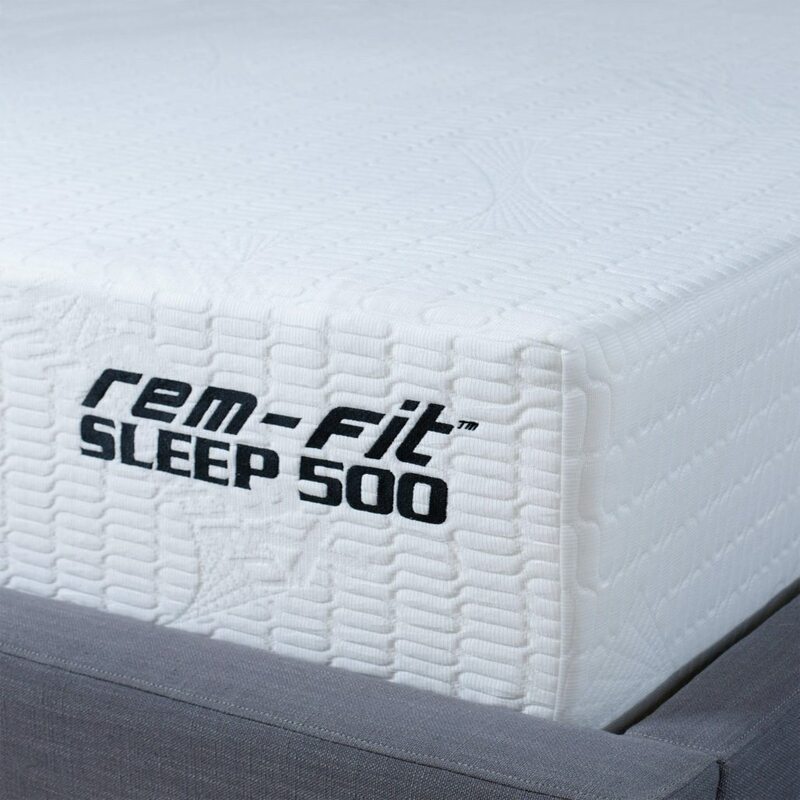 REM_Fit 500 uses the following feature to ensure it sleeps cooler than the average mattress. 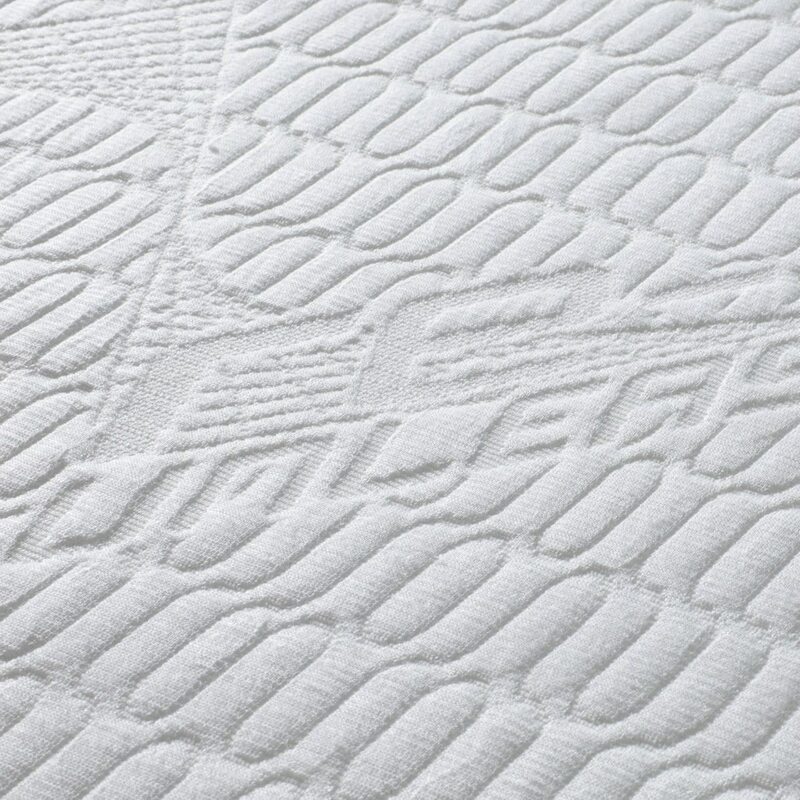 Nordic Chill is an ultra-smooth fabric designed to transfer heat away from the body throughout the night. It’s soft, comfortable and cool to the touch. Although we didn’t film the REM-Fit 500 on a base you can be sure it will work fantastic on an adjustable base. 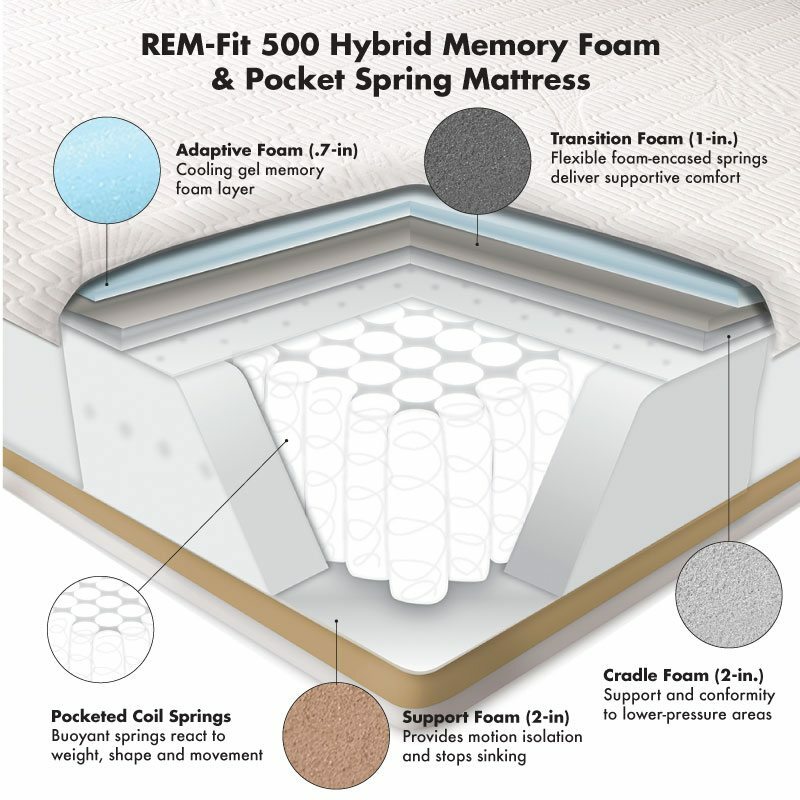 REM-Fit is a division of Protect-A-Bed, a company with over 35 years of experience in the sleep industry. 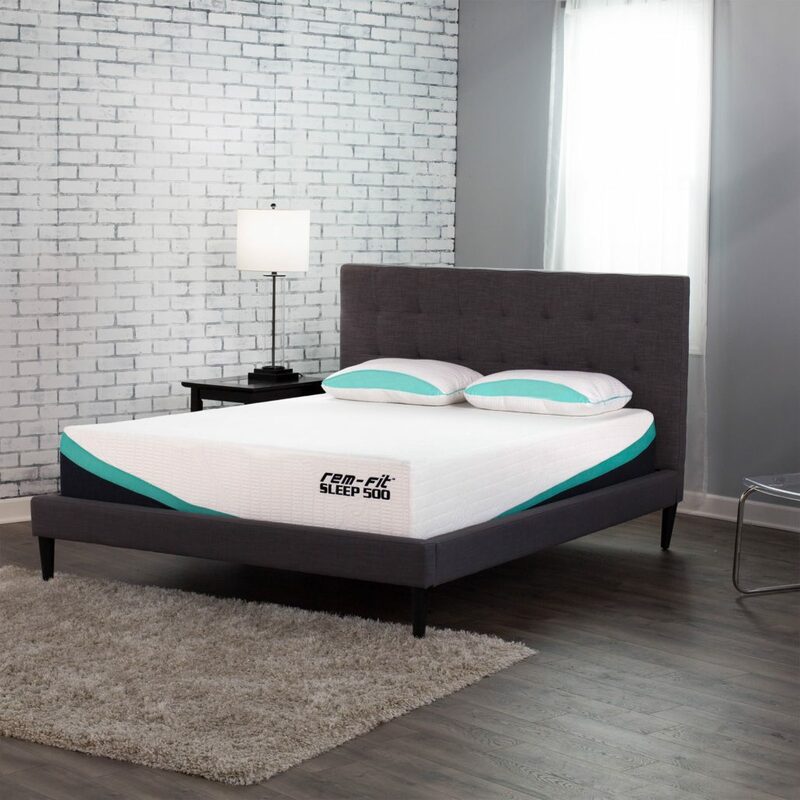 Are looking for a mattress to fit all sleeping positions -REM-Fit is a good medium feel and it performed well for all of our sleeping position tests.